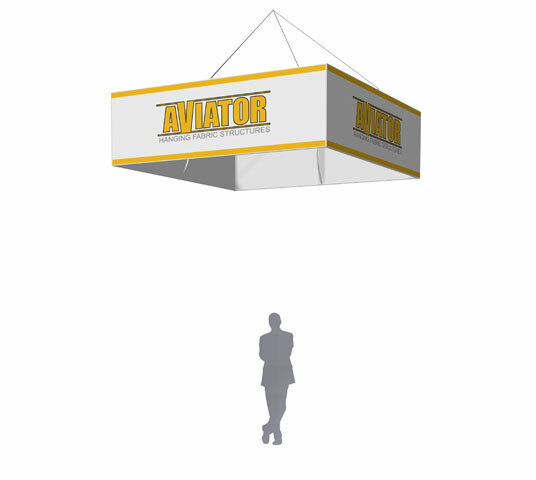 The Aviator™ 10′ × 36″ Square Hanging Banner Sign provides the ideal visual billboard that reaches every corner of the event. 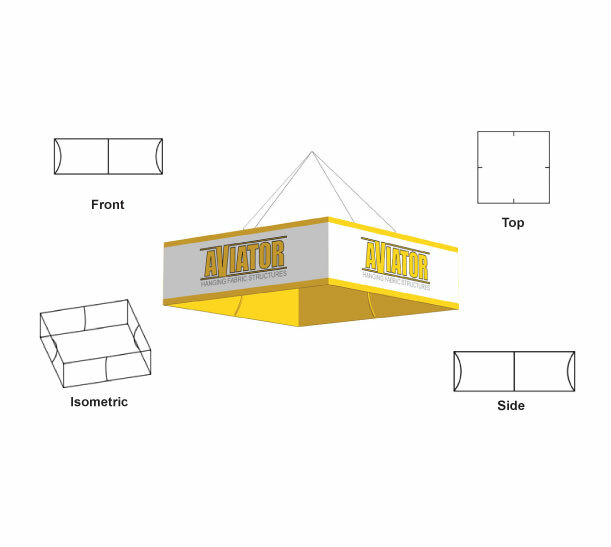 The Square mimics the typical trade show floor space creating a strong, dominant presence. 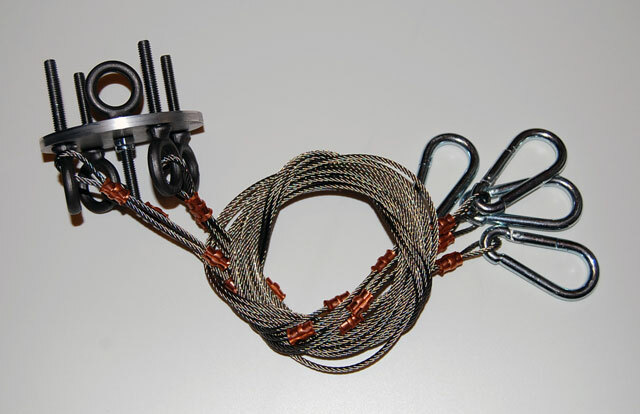 This complete kit includes the easy-to-assemble frame, tension fabric graphics printed on the outside with your artwork and the hanging harness and cables. No tools are required. Kit cost includes printed outside and unprinted white inside. Inside printing and opaque liner options are available, please contact for a quote. 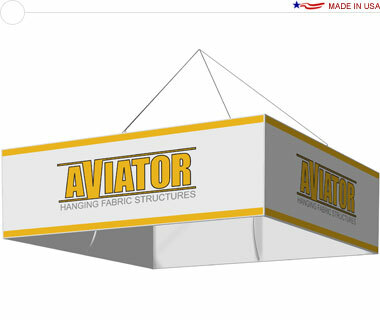 The banner frame and graphics may be purchased separately. Ships from St. Louis, MO. Missouri residents subject to state sales tax.